During Galatasaray’s 2-0 triumph against Elazigspor, Didier Drogba took the chance to pay his own tribute to Nelson Mandela with a shirt that had: ‘’Thank You Madiba’’ written on it. 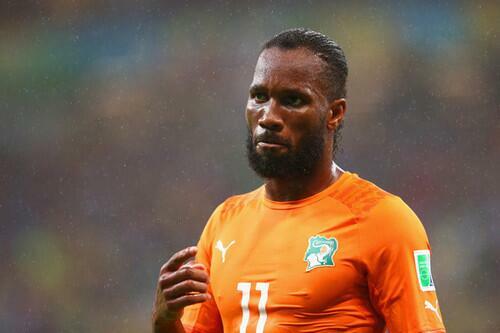 Despite making the gesture and the tribute to one of the most influential figures in history as Mandela has made, Didier Drogba is now facing sanctions in Turkey and might even be fined for his actions. The Turkish Football Federation (TFF) justified the decision by arguing that the players wore the t-shirts in the match against Elazığspor without receiving permission beforehand. Both players displayed the t-shirts after the conclusion of the game, which the Lions won 2-0. Former Arsenal defender Emmanuel Eboue also made a similar tribute as he joined Drogba and is facing the same problems and sanctions as his teammate Drogba. Drogba has responded by posting a picture montage on Instagram including a photo of his own meeting with the former South Africa president. I’d be very interested to see your comments on this…but I’m sorry if I had to I would do it again and again. Nor because of political beliefs but because this man inspired me, a country, a continent, the world!!!!! Thanks again Madiba.